The Philly Mart takes up shop at Venice Island in Manayunk. Spring means nice weather, and nice weather means fun shopping events like Clover Market and the soon-to-open Philly Mart. 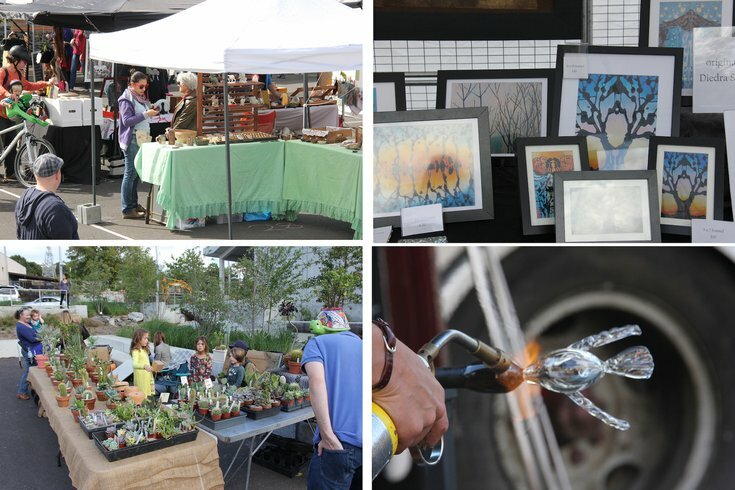 This curated open-air artisan market, located at Manayunk's Venice Island Performing Arts and Recreation Center, is held on second Saturdays in the fall and spring. The first date for the spring season is Saturday, April 18. A mixture of original and handmade arts and crafts, clothing, vintage, antiques, photography and food, The Philly Mart hosts between 30 and 50 vendors. Vendors like clothing retailer EthnoKolor, Rachel Shoshana Jewelry and home decor brand Salvaged Serendipity will be in attendance this week. The Philly Mart will appear at Venice Island Saturday, May 9, and Saturday, June 13, as well. Venice Island just opened in October and evolved out of a commitment by the Philadelphia Water Department to build a sewage overflow tank on the location. The result of a decade of planning and construction by the surrounding community, Venice Island now includes recreational spaces for sports and outdoor performances, a 250-seat theater, water features, art and parking. Though the Philly Mart is outdoors, it will go on rain or shine, and food trucks will be on hand to provide bites for hungry shoppers.